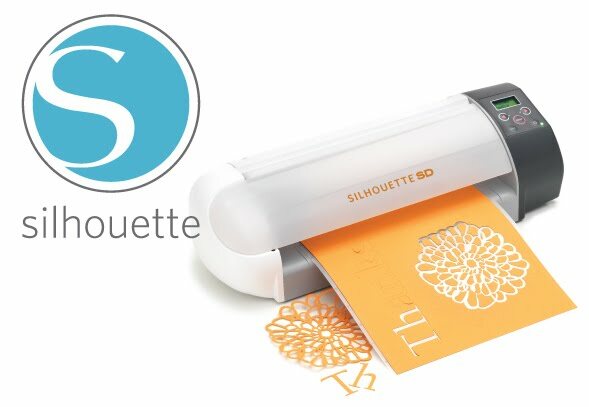 silhouette digital cutting tool review and giveaway! When I was working at Lasting Memories, I had a major wish-list item. I'll give you a hint. It cuts paper, vinyl, and heat transfer material, and you don't have to buy expensive design cartridges. 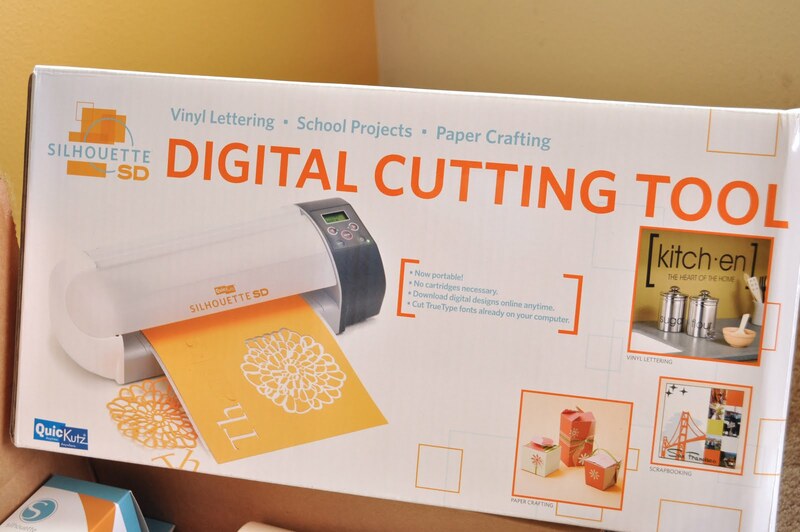 If you guessed the Silhouette digital cutting machine, then you must have it on your wish list, too! If you have no idea what I'm taking about, prepare to be amazed. And to want one. My very favorite part of this tool is the ability you have to use your own designs and true-type fonts on your computer, plus digital image downloads from tons of great designers (think House of Three and Hero Arts) for only $.99 each (or less if you have a subscription). I have loved my Slice, and I'll still use it, but I hate having to buy a $50 cartridge, especially when I know I'll only really use a fraction of the images. My second favorite thing is how versatile it is. The software that goes with it is awesome. You can cut shapes and letters in any size increments you want, you can take images apart and only cut part of them (which comes in handy when creating a multi-colored image), and you can cut multiple images at a time (which saves time and paper). I really feel like I don't have any limitations with this tool. I can use it for my scrapbooking, card making, home decor, party decorations (think cupcake wrappers and banners! ), clothing, even quilting (to cut applique templates). You're going to be seeing a lot with this machine from me. *$10 download card to buy new shapes on the Silhouette Online Store. Are you kidding me? I really don't think we've ever hosted a giveaway this good before! This is seriously awesome, people! Here's what you have to do to enter. Visit the Silhouette Web site and check out all the great ideas and products. Then come back here and leave us a comment on this post stating how you would use the Silhouette if you won. That's it! Want extra chances to win? Link to this post on your blog or become a fan on our Facebook page, then leave us another comment letting us know and you'll get more entries! Just be sure to do it by Wednesday, July 14th at 11:59pm PT. And watch for new tutorials and ideas from me every day of the giveaway! The first comment. Hope it pays to be number 1. The first thing I would do, fabric fabric fabric. And the heat transfer. I;m a facebook fan too! I would make soo many onesies for my baby boy (due in nov!) and then I would put rhinestones on everything, forever for the rest of my life!!! OH MY!!! The endless possibilites of the SD Silhouette machine...I just saw a demo of the new heat transfers (smooth and flocked) over the weekend and cant wait to try it on all sorts of things!!!! This is an awesome giveaway! I would use it for the vinyl on the walls. Love all the ideas! Thanks for the chance. Yeah, I'm first! This makes me wish I hadn't bought my Cricut...I would love to trade up! 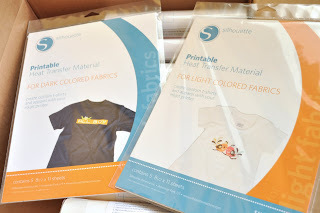 I would LOVE to use it to make shirts with the awesome iron transfer paper. I would love to use the Silhouette for Paper crafting and Vinyl Decor! Wow!!! I saw a Silhouette at a recent trade show, but had no idea it was so versatile!!! I particularly like the vinyl sign over the laundry hamper. I would use it to personalise my drab walls and make some super gifts! I can not believe you give a Silhoutte Machine! I am in shock! I've been wanting this machine a long time, but in my country is impossible to get it! I do not know if you just send them to USA or if you do international shipping, but I'll leave my comment anyway. I will visit every day and I love your work. You have a beautiful blog. If I had the Silhouette machine I would use for scrapbooking, because I could cut everything I imagined, but also to make vinyls for my house that I love! Thank you very much, and I will continue visiting your blog for your great work! I would use it to etch my glass casserole dishes first then make some vinyl sayings for my very bare walls then....who know? The possibilities are endless!! I used a Silhouette when I worked at an LSS and loved it. I personally loved all the options that it had available. I haven't used one in about 3 years but it has always been something I wanted to acquire but never was able to as I always put my family first. I would love to own once for not only all that I can create for my home but also for my classroom. Omgosh, to get one of these beauties...it would be wonderful! I would use it to put phrases on my walls, on signs. There is so much I could do with it. I am so excited for a chance to win one of these machines! I'd start with heat transfer, but I love the idea of vinyl too. Endless possibilities! oh my goodness! i have been drooling over the silhouette for a while now!!! i would LOVE to have one! i would love it for etching, heat transfer, applique, etc! just about everything! I think I would do some vinyl phrases on the walls around the house. I love the rhinestone thing too. I'd love to eventually bling stuff up! Oh wow, I have been wanting one of these for awhile! first, I would definitely set to work labeling the kids toy bins with vinyl. I am dying to try the heat transfer too. I would love to make things for all of my friends with babies on the way. I've been saving for one but bills always get in the way!! My husband and I are hoping to start a small graphic design/furniture company, this would be perfect for making tags and cutting out our logo in really cool materials! Vinyl decals, oh the possibilities! I would use it for tons of stuff. I'd try the heat transfer first though! I looove the Silhouette. I almost made the plunge and purchased a Cricut, but then I discovered the Silhouette and now I will never settle! I would use it for crafts around the house--sewing appliques, paper crafting (no scrapbooking here!). My husband is an elementary teacher, so it would also get plenty of use cutting out letters/shapes for his classroom! Fantastic giveaway! Email in my profile. Thanks! Too many ideas that I LOVE!! My top three... paper crafting, glass etching, vinyl. PICK ME PLEASE! I would make my 3 little boys awesome t-shirts. I hope I win! I would use it to decorate my kids' rooms! I "like" your fb. I looove this giveaway! I'm a fan on FB--and I RSS feed:) HOOOOOORAY! THANKS! I like their website and I really want this machine. I would use it for home decor project, scrapbooking, cardmaking, quilting and some clothing projects too. Wow -- what a wonderful giveaway! I'd definitely use a silhouette for cards, gifts and wall decor! I think the first thing I would use it on would be vinyl to redecorate my bedroom! ohhhhh I am sooo excited!!! I'm dying for a Silhouette!!! I would definitely use it for all my scrapbooking/card making needs, and vinyl up our home!!!! What a fantastic giveaway!!! oh i would love to add some vinyl lettering to my home, this is so awsome. I linked this giveaway on my blog!! I would use this machine for a lot of different things such as Home decor projects, quilting, scrapbooking, gifts, cards and sewing projects. I really want this machine. AMAZING PRIZE!!!! A digital cutter is definitely on my wish list! I am a card maker so I will use it a lot on cards, but WOW! the decor items are awesome too! 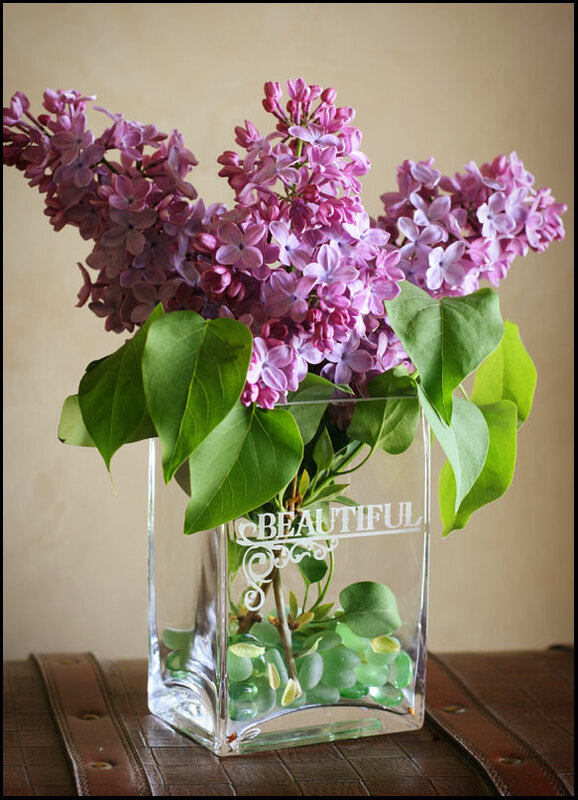 I would have never thought about using it for T-shirts or vases! Thanks so much for the chance to win this great prize! I would use this machine for just about all my crafting projects. I really want this machine. I would love to use the heat transfers! Hmmm...let me think...home decor, clothing (hey-new baby on the way), paper projects...It looks like such a fun machine! Just became a facebook fan! I love your beautiful projects with the Silhouette! Long time reader, 1st time commenter! My husband and I are just about to purchase our first home and I can just imagine how crazy I might go with my "nesting" with a machine like this!!! I can't wait to try the heat transfer. Oh I would love to win one of these! I'm a cardmaker so I'd use it for papercrafting! Oh..there are so many things I would use it for. Fabric and vinyl projects such as decorating the kid's room or sprucing up a shirt would be first. I would also use it for scapbooking. It looks like the possibilities are endless! Thanks for the chance to win! I would use this for EVERYTHING. scrapbooking, decorating with vinyl, heat transfer, glass etching. I've never one a giveaway on anywhere - but this one would take the cake. I would use it for vinyl wall art! Love all the possibilities! you did great! enjoy your new patio. I would use the Silhouette to cut out appliqué shapes and letters for quilting. I also have tons of plain glass that I'm dying to etch. Thanks for the great giveaway! A Silhouette for me? Just for me?! My oh my, the possibilities!! Vinyl galore all over my house! Pick me! Pick me please! I would love to use it to make fancy cards...and fabric...and vinyl. Would love the machine! I would def use it on everything! 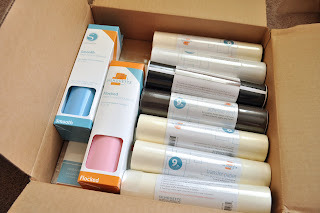 HA I love the vinyl stuff and I also do a lot of card making so I see it coming in handy for that! Oh Snap! I would most definitely be interested in the heat transfers and the vinyl cutting. I will also become a facebook fan and post this on my blog!! Oh gosh...where would you start? Probably some vinyl for the home, some shirt for the girls and me, some glass etching...the possibilities are ENDLESS!!! Crossing my fingers and piggies!!! What a great give away!!! Liked you on Facebook :) It just amazes me how interconnected things are! I would use this for everything. I would probably use it mostly on fabric! awesome giveaway! crossing my fingers! I would make a ton of vinyl stuff to put all over my house and annoy my husband! Just "liked" you on FB!! I would use this machine on EVERYTHING, but I would use it the most on cards. I am in love with this machine!!! Wow, this would be amazing to win! I think I would LOVE to create some decorations for my home, especially some vinyl creations for the walls! Maybe some things for the kids' playroom to start...?! Oh wow!!! That is AMAZING!!! Everything on their website is sooo very fantastic! We just bought a new house. I have tons of decorating to do. Wouldn't this just be the perfect thing to help me out! OH....I hope I win!!! I have been dying to etch our monogram on some cheap wineglasses to make them look "expensive". I also have a wedding coming up...would make for a PERFECT gift!!! I'm a Facebook fan!!!!! YIPPEE! I love the different things you can use it for. 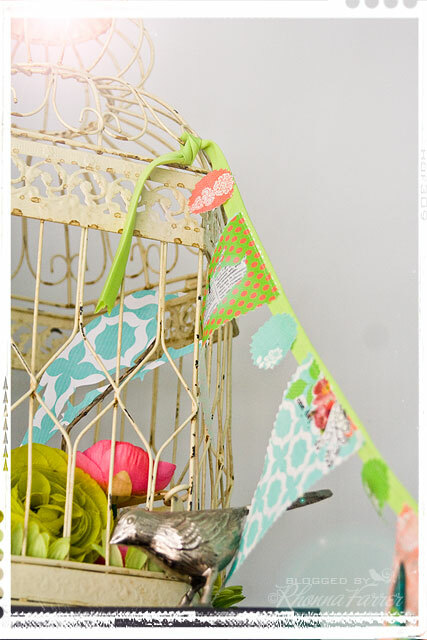 I especially love the vinyl, it's such a cute way to decorate! That thing is amazing! I would use it for the vinyl and scrapbooking... and probably EVERYTHING ELSE!!! AWESOME! O my! What an awesome giveaway-I would heat transfer, heat transfer, heat transfer! I am a Facebook Fan of LBS as well!! I also posted this on my blog and became a Facebook Fan. OHHHH....I would just love this! Thanks! O my! I'm in love! Heat transfer! I LOVE the heat transfer idea, that's what I'd try first!!! I would use it for everything, especially vinyl. I have been wanting some vinyl for my house, and it would be awesome to design my own. oooh what a fab competition, not sure if I can enter being over in the UK? I would make all my cards for the coming year and some wall stencils for my kiddies room. I have wanted a machine like this for a long time now. I loved all the ideas on their website, but I was especially drawn to the school projects. I am a teacher, and I can think of SO many ways to use it in my classroom! What a great way to start the new school year! I'd like to try the flocking transfer! That would be cooool. amazing! what wouldnt i do with it!! vinyl wall art, scrapbooking, glass etching, and I think I could re-vamp my kids entire wardrobe! and Oh so much more! I love it! oh my! I would definitely make loads of cards with the silhouette machine, but also use it in my collage paintings! would be awesome!!! I would love to try the heat transfer on some shirts for my kiddos. I would also do some scrapbooking with it too. I have several albums that need to be finished!! Oh, here's to hoping I win!!! Thanks for the cool giveaway! I think this machine is incredible… I am a Graphic Designer and I would go mad winning this little tool. I think I would start off with some great vinyl stickers for the wall. But there are so many possibilities!! Can't wait to try it myself. I'm amazed. I think I would use it for everything...maybe the paper stuff and the vinyl more though. Oh oh oh, I would love one of these fantastic machines! I would use it to appliqué, etch, and monogram everything in sight! My little nieces would be getting lots of presents from their new favorite aunt! This is on my wish list! I love that you can use the fonts you already have without buying a cartridge. If I had one I would use it for vinyl and paper crafting projects. I want one soooo bad! I would use it for my sons' birthday! The possibilities are endless! WOw this is amazing! And even more amazing that they are giving it away. Thank you! What I would use it for, that is very open ended. I would use it for so much. I am a SAHM on a budget. I would love to decorate my house with little touches but I can't afford it. I also home school my two kids with one on the way and I would love to make them little projects and books. I want one of these sooooooooo bad! I would love to use it for my son's birthday! The possibilities are endless! I would use it for cutting vinyl and scrapbooking! I would also love to try the heat transfer for tshirts. I would love to do some wall vinyl! or maybe make a little shirt for my daughter! Heat transfer! My husband owns a karate school and we have been looking for a new way to add our logo to shirts and the karate uniforms. The silhouette looks professional and perfect! i am your FB fan now too! hooray for an extra entry! Wow!!! Where to start? I think I would have to try to create something for glass. I just got a job as a jr.high school lunch account tech. I can see soooooo many possibilities to use this machine in the lunch room, on our aprons, my managers office, etc. etc. etc. Looks like FUN!!! now i'm off to become a facebook fan! OH MY HECK!! Please pick me!! I would love to try this machine for everything, but I would LOVE it for vinyl and well everything!! Oh and I am a fan on Facebook! The possiblities! I would love to do some glass etching! I would love to use this to cut fabric, instead of print on paper - trace on to Heat & bond, press & then cut out. All this in one step! I also Left a comment on my blog!! This makes me want to return my Cricut! I would rhinestone EVERYTHING in my house, lol. I think I would use it on EVERYTHING. I'd start by finishing my daughters wall of butterflies. I would use it to create art to put on my children's doors and make cards and t-shirts and then start googling "silhouette" to get ideas for what would be next. I hope I win! The better question is, what WOULDN'T I use it for?! I would definitely do a ton of vinyl creations for my daughter's room. It is garden themed, so I could go CRAZY with that. We are trying for another baby right now, so when that happens, I will go crazy with that nursery. Oh, the possibilities! I would etch glass, use it for my card making, making personalized shirts, and I am an art teacher, so it would help a lot with my classes. There are so many options. I would probably start with vinyl then onto the heat transfer! thanks for the chance to win!! yay!! Holy cow, what I would do with one of these! I'm loving the vinyl on your mixer. I was thinking that and putting it on my sugar/flour jars. It looks awesome! I don't think if I owned a silhouette, there would be anything in my house that wasn't 'safe'. The first project? I need to label our garbage and recycling bins. Not super fun or fancy, but a necessity! There seems to be no limit to what you can use the Silhouette for! My first thought is some of those beautiful intricate cuts for my scrapbooking, but I also want to do some of the vinyl for wall treatments. And some of. . .
All of the heat transfer stuff is pretty awesome since I've been more into fabric than paper these days. I'd also probably make some wall art. I'm a facebook fan too now (or at least I think so, I can't find "become a fan" anymore but I did "like" you- it's the same thing, right?) I hope I win! I've been dying to try glass etching, but have been nervous to do so. But if I had a Silouette I would finally give it a try! I would love to use the heat transfer for some cute shirts for my girlies, and I love vinyl, but hate the price, so I would vinyl me up a storm in my house! Thanks for the chance to win! I would use it for glass etching and wall vinyl. I am in love with this machine. omg! how cool is that?!! i would love to do the wall decor, but i fear my dh would never let me, besides the fact that we have old plaster walls that are not smooth. and i don't know if it would work or not. 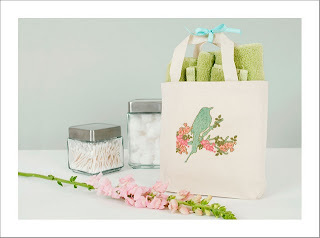 i make a lot of tote bags, and i would love to do some heat transfer ideas. that would be so cool! thanks so much for the opp to win! Oh I would love one of these! 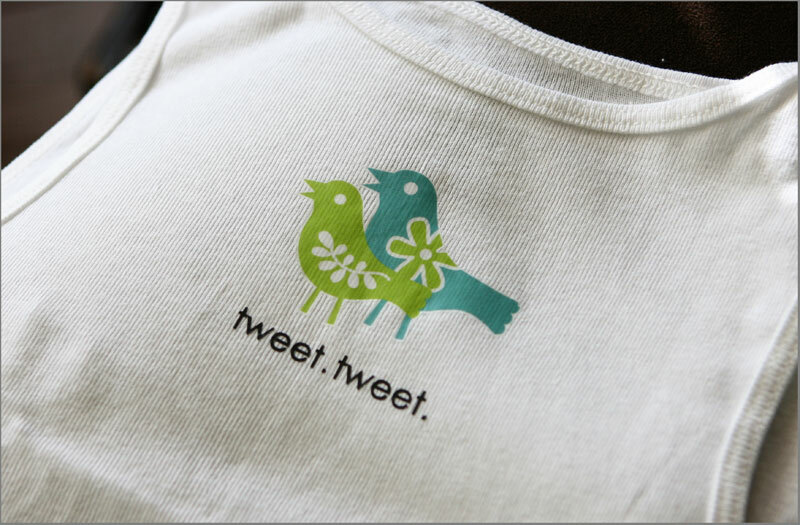 I'd spend most of my time making customer onesies for my bun in the oven! Seriously, what WOULDN'T I use it for??! I love the look of Vinyl decor. Oh the endless possibilities of the Silhouette! I'm not sure if I would ever come out of my craft room if I got one!!! :o) I would definitely use it in my scrapping, card making, sewing, and decorating!!! It is 100% clear to me why you are so excited!!! I'm surprised you have even slept....I think my entire house would be decorated with fun things. One thing I would have to make are snowflakes. There is a website that is dedicated to this man's mother and they have free snowflake patterns to fold and cut. During the holidays I love to cover the window with them. I think I might jump for joy if I made made them into heat transfers and made a wall curtain so I could keep them forever. Wall art. Then my niece and I would be busy coming up with a ton of different crafts. Oh wow, this is a huge giveaway! I would make custom doilies out of my favorite papers and vinyl to plaster all over everything. And I would be making cupcake holders for every day of the week. This has been on my wishlist for oohhh so long!! I would definitly do a jiggity jig if I was the lucky winner. I can't wait to do transfers, vinyl, gifts, & so many projects!! A better question would be what wouldn't I use this for! I love this thing and so want to have one of my very own! So many wonderful ways to use this! I would use it on fabric so I could create my own custom bags and t-shirts. Boy do I need this machine!!! I'm a Facebook fan too!!! Oh my goodness! What could you not use this on! I love the heat transfer and the vinyl labeled toy bins would be wonderful! I think it might get me back into scrapbooking too! I would use it for EVERYTHING!!! I'm getting into quilting, so I like your idea of making templates. I'd use it for craft show signage, home vinyl decor, scrapbooking, you name it! I would totally use it on everything. I love all the vinyl options they have and the etching on the fish bowl is too cute. Oh my gosh- I would love to have this machine. I'm practically drooling over it now. I would LOVE to make some vinyl wall art (I rent so painting is not worth it to us!) and I would love to do the heat transfers! Vinyl! Fabric! Glass Etching! Oh MY! So much fun! Thanks for the opportunity! Wow, lots of possibilities! I think t-shirt or tote bag stencils would be at the top of my list. Great giveaway! I've been wanting to try glass etching for awhile now, so I think the first thing I would try is that. I'm sure I would make some onesies at some point in time also! WOW! Amazing giveaway!!! The glass etching is so cool! And cutting fabric & vinyl...oooohhhh!!!! Thanks for the chance! I would applique my quilts!! I would use them to make decorations in my home! I bought some old window panes and would love to use them to make some awesome decor. Thanks for the chance! I'd decorate our new nursery for bebe minnie. Wow! How exciting! Once I figured out the Silhouette, I would make paper packaging for the home bakery business I am looking to start. I'd probably also plaster the house in adorable vinyl lettering! Oh and card making. My head is spinning just thinking about all I could do! Pick me! Please! I'm now a fan of Little Birdie Secrets on FB! YAY! I SOOOOO want this! I have been eyeing a cutting tool forever and haven't been able to make up my mind, UNTIL NOW!! I gotta have one! I would use it for organizing my craft room and kids everything! I also want to play with the scrapbooking and the heat transfer. I see a lot of cute t-shirts, totebags, notebooks, binders, banners, and scrapbook pages in my future! Come on Little Birdie- choose ME!!! what a flippin awesome giveaway! i am in total shock and know my chances are so slim but STILL!!! the FIRST thing i would do is probably a million vinyl wall deocr projects - my walls and friends walls would be covered!! then i'd have to do some heat transfers - ya know, something matching for me and hubs to embarass him to death. and i would make a banner for my dad's retirement party on July 31st!!! how have i never heard of this machine?!?!? !